Rosemary and fish might seem an unlikely combination but it really works. I ordered this dish at a local Italian restaurant and liked it so much that I recreated it at home the next week. Al Cartoccio simply means food that is wrapped in a parcel and then baked. This is a great way of cooking food gently, especially fish, ensuring the wonderful aromas and juices are retained in the cooking pouch. This is a simple fish supper that’s perfect for midweek. In fact the fish can be prepared and wrapped in their paper parcels and refrigerated until ready to bake. The waft of rosemary that escapes the paper parcel when served is wonderful and paired with some boiled baby potatoes, a green vegetable and some homemade tartar sauce it’s perfect for company too. Preheat oven to 200C. Take two large sheets of baking paper and place a trout in the middle of each one. 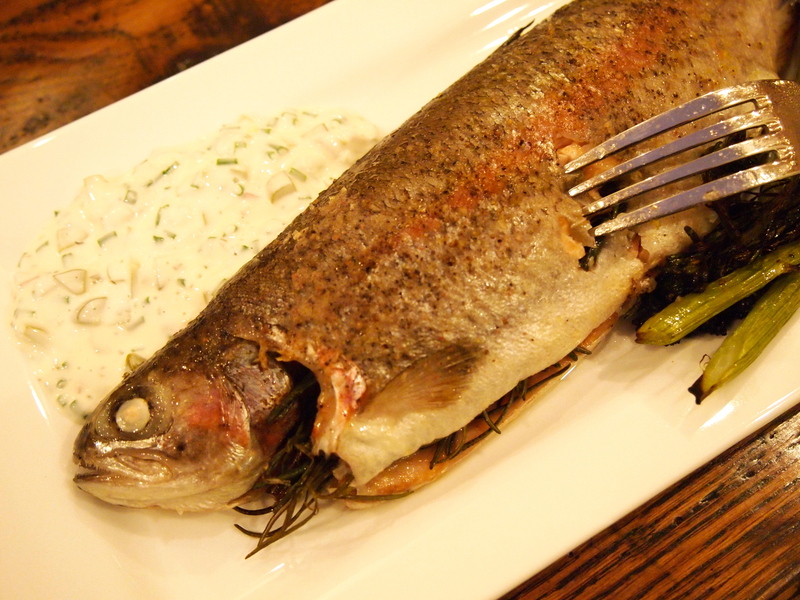 Brush the trout liberally on both sides with butter and season well with salt and pepper. 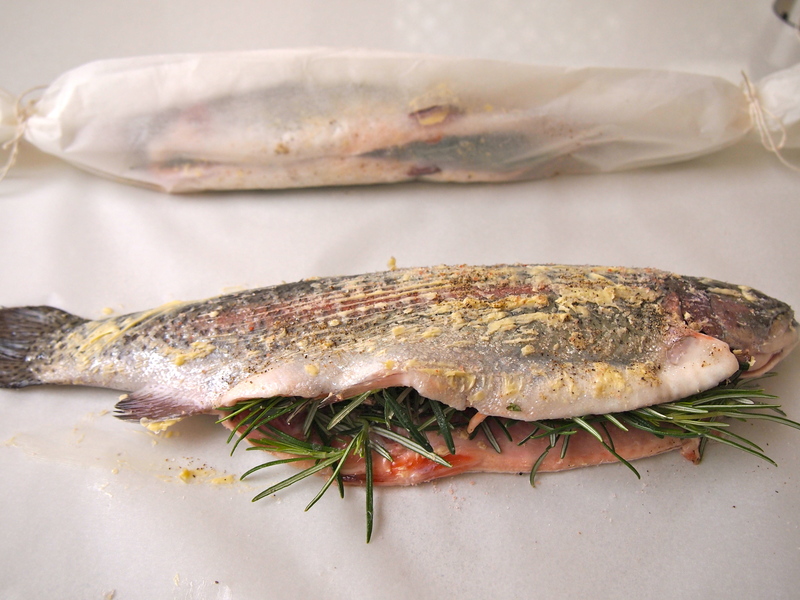 Stuff the cavity of each trout with half a bunch of rosemary. Make a parcel by bringing the two sides of the baking paper together and creasing in the middle to ensure no steam escapes. 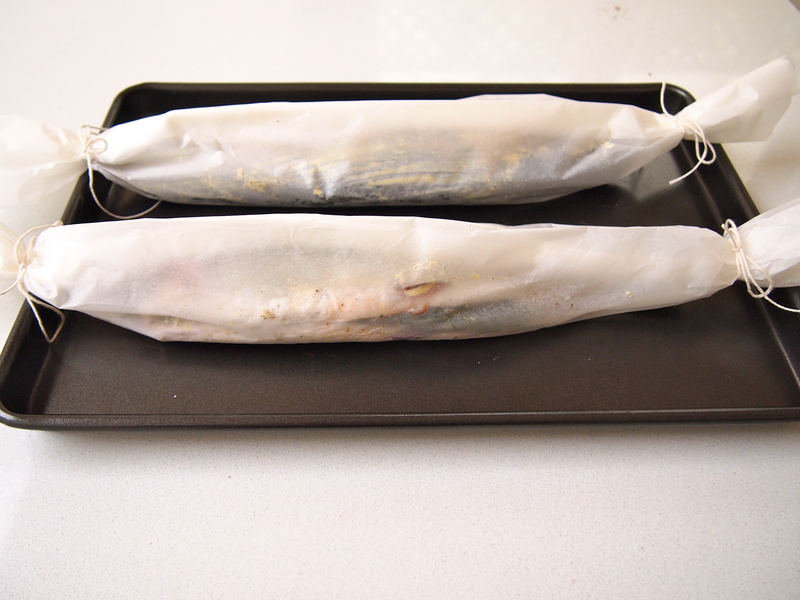 Tie the ends with kitchen string – basically the trout parcels will resemble large lollies when they’re wrapped. 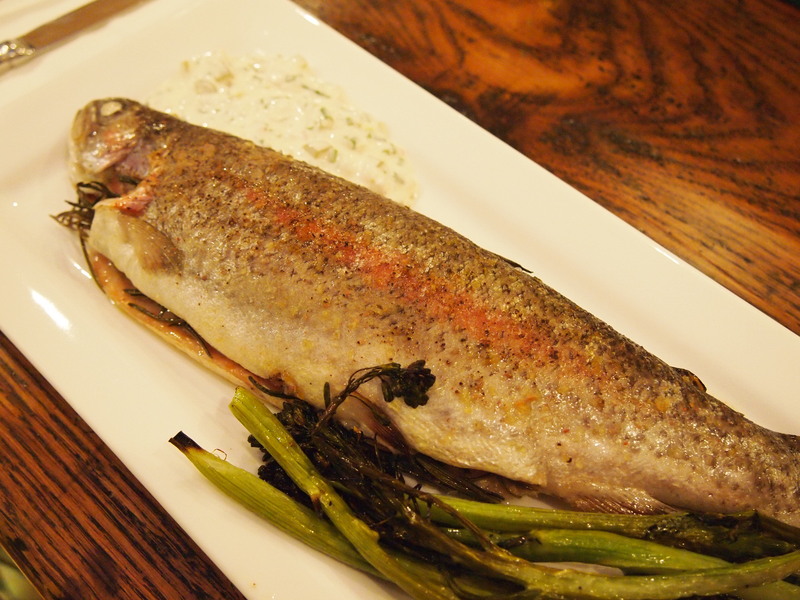 Place the trout on a baking sheet and bake in the oven for 20 minutes. Remove and carefully untie the parcels and transfer on to plates making sure to pour over any buttery juices accumulated in the parcels.